Busy Signal will be embarking on his first major tour since release from jail. Busy Signal is still fresh on the scene from his short jail time in the United States but the dancehall star is already making big strides. After releasing several new singles over the past few weeks, Busy Signal made a big announcement that will make his European fans very happy. The dancehall star will be embarking on his “Reggae Music Again” tour of European starting March 2013. The tour will help push Busy Signal’s critically acclaim album Reggae Music Again, released earlier this year. 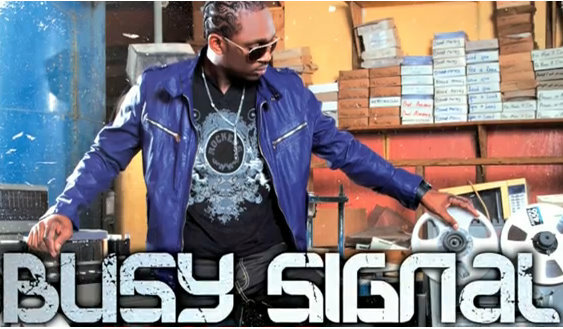 Busy Signal will also be stepping up his presence in dancehall with two upcoming music videos. The dancehall star recently shot two videos for his singles “Dream Dream” and “Royal Night.” Both videos will be release in the coming weeks. Signal is also gearing up for his first performance in Jamaica in the last 5 years. The deejay will be in action at the upcoming Sting at Jamworld, Portmore on December 26.